Would you support a casino in downtown GR? Would you support a public/private casino downtown? 1. Would you be in favor of a casino in downtown Grand Rapids? 2. If yes, would you be in favor of helping to fund it, like the convention center? 3. If Yes, where would you want it to be built? I know this has been mentioned before in several threads, but I dont think I could find a thread dedicated to this topic. GRD, feel free to delete this if covered previously. My opinion is that you can gamble in gas stations, churches (bingo), restaurants (keno), race tracks, Detroit and Indian lands so why not reap some of the money floating around out there. Surprised to see Secchia so in favor of an essentially government owned casino (he suggests that it would be owned by the city and county) considering his polictical track record. I am shocked and awed that Sechia would publicly support this. I will start rolling my nickels. He tends to get things done. We had a poll last year, but I can't seem to find it. What I find interesting though is the worry that a casino in Wayland will take vital business and visitors away from downtown GR, yet no one in the downtown business community thinks the same about two mammoth new retail centers in the suburbs? Yet no talk of building a competing retail center downtown? Are the Chamber and Secchia thinking mainly of the convention business if Wayland gets a conference center? I can see losing a lot more potential dollars to Walker and GR Twp then to a casino, unless they think they will lose convention business. I've visited several indian-run casinos up north and they are not nearly as busy as a shopping mall is (not even as busy as the renovated Eastbrook Mall). Ha, also interesting that Joe Moch states that a casino was part of his riverfront plan, yet didn't disclose that to the city and the media. I created a poll Libertarian so people can comment and vote. Heartwell and Secchia think 80% of Grand Rapidians would be undecided on a public/private casino. We'll see where UPers fall. You can also choose more than one possible location. How about putting it in one of the entertainment areas like south of the arena or in one of the dash lots near Bridge Street, and then not letting them serve food or alcohol. That would force the clientele to patronize other businesses in the general area. That could be a huge boost for downtown retail. What I find interesting though is the worry that a casino in Wayland will take vital business and visitors away from downtown GR, yet no one in the downtown business community thinks the same about two mammoth new retail centers in the suburbs? Yet no talk of building a competing retail center downtown? Are the Chamber and Secchia thinking mainly of the convention business if Wayland gets a conference center? 1. DON'T make it an Island. I think the city owned property is the absolute worst place for a casino. It would be nothing more than an appendage and would not improve the fabric of the city. Plunk it down right where people can access it. Don't put it on the fringe and have trolley service. 2. Partner with someone who is "New Vegas". "New Vegas" realizes that there is a ton of money to be had in fine dining, clubs, condo's etc. I read recently about "Echelon", a new resort in Vegas that is replacing the Stardust. They expect a full 50/50 split of profit coming from gambling vs. all other amenities (rooms, spas, food, drink, shows, etc). It's quite a fundamental shift in thought. 2a. 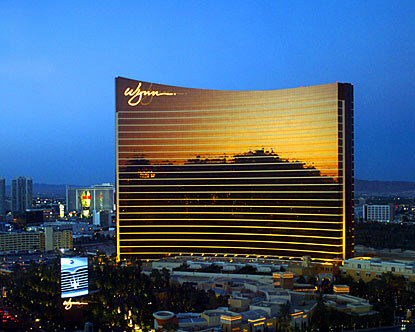 Partner with Steve Wynn. We don't need a Little River Casino downtown. We need something that works in the urban fabric, not something that sticks it's middle finger up at it. 3. Remember the sins of the past. Don't do it like Detroit did. Make them go big or go home. Build the full-on casino *NOW*, not years and years later while the temporary casinos turn everybody off. 4. Act fast. If you are going to do it, do it right and right now. Pummel the competition before they get off the ground. With a connection to Arts, events, culture and our entertainment district, it is a no brainer who people would go to. I think if it were done *RIGHT*, and the developer kept in mind that this is not your "All-you-can-eat" McCasino, it could add a lot of what's missing downtown. Retail? Why not! Boutique hotel? Echelon has 5 different hotels in one building, Mandalay Bay has three (THE hotel, Mandalay Bay and Four Seasons). Here's my idea for placement of the casino. Build it in back of the arena taking up *ALL* of the available parking lots. Expand the Arena to it's full-size and have the two buildings connect. Build the Performing Arts Center into the Development. This would allow the casino to 1) pay for most of it, 2) keep the projects endowed, 3) bring in BIG acts (Jay Leno in Mt. Pleasant?! ), potentially host major league fights, etc. etc. If we're going to do it, go big. GR is different than Detroit or Mt. Pleasant and I think the possibilities are endless because these developers have the deepest pockets of all. Not shocked by Secchia. He's a businessman first and an ideologue second. No, no no no no no no no no! Casinos haven't helped in any city they've been placed in. I would NOT want to see a casino in DT GR. They are gaudy, they are over the top, and they serve no purpose except to DRAIN money from the community. The city has been growing FINE without them. Is Secchia et. al. over estimating the impact on downtown with this Wayland casino? It really irks me that it would be acceptable to goto the public to fund this. Especially, when there's one thing on my mind that could use funding. I don't have to mention it, but its a heck of a lot more useful. It actually has a track record and under the right circumstances actually creates sustainable jobs in many different sectors. I would also argue that they've been quite helpful to Detroit. I imagine people stay in Detroit now rather then crossing the border to Windsor. Which is the same deal here. Keep them DT vs Wayland. The Detroit casinos are doing quite well, and funnel a ton of money into the city coffers. Some of the Detroit forumers would know better then I, but I think the budget situation there would be worse without the casinos. As joedowntown said, if it is done, I want it done right, plus the alternate business generated from Condo's etc, has been quite helpful to MGM as the link above addresses. I was very excited by the article and realize with the inevitability of the Wayland casino it was only a matter of time before this was brought up, plus with some significant backers. I'm not really excited about a casino in downtown GR. It would have to be designed to have a streetscape presence & include high end retail, fusion restaurants, a boutique hotel, Sigma Derby, and underground parking before I would even consider voting. I'm not fond of how casinos try to lock you in by not having any visable clocks or views of outside. Out of all the casinos I've been to, Steve Wynn does the best job. 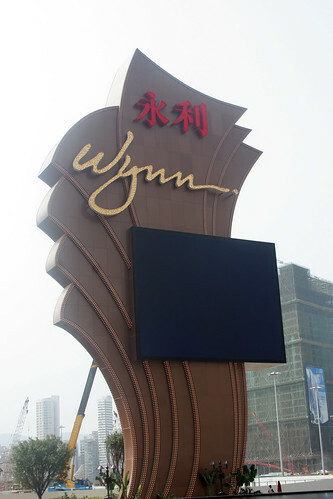 Here is the new Wynn Casino in Macau two weeks after it opened. I'm sure there are other areas that benefit greatly from Casino's. Detroit is not exactly an example I would look at as a failure based on problems created by a casino. I think if done incorrectly (which would be quite easy to do as developers come swooping in preaching fame and fortune) it is bad. I'm sure there are some good examples of casino's that have done well. But I think a) the city has to be adiment about getting what they want and b) they have to pick a good developer. Im in favor of a casino downtown, but as far as me the taxpayer paying for it no! Id rather see that money put to transit than into some lucky or unlucky persons pocket. Casinos are not going to save Michigans urban centers. Casinos are not going to save Michigans urban centers. Without having read a whole lot about the economic impact that casinos have on communities I can't see placing one downtown as to much of a drain on the local economy. I know quite a few people as well as I who go to Mt. Pleasant, Traverse City and the Sault to gamble. Placing one at home will only keep the money here. I don't think having one here will be any worse than having one only an hour away or 20 as the near future will most likely be. So with that I would support the idea. I just hope they would have real slots and not the computer kind. I like the visceral clunk of the mechanical type. How about a casino/retail/boutiquehotel/familyindoorwaterpark/resort all under one roof? If a casino only serves the metro area and only takes money from locals, it's a net loss to the community and shouldn't happen (at taxpayers' expense). It's just shuffling the same money around, with the casino owners skimming the profits off the top. Even if the casino puts money back into the community, it was money that was already in the community. Any jobs created would just be people serving people in the community (no net gain). If it can be shown (via an economic impact study) that it will bring in dollars from outside the metro area, then it's a positive and I might support it. Northender, it's not a matter of being an investor, which you can do voluntarily, it would be in some form of a tax. There's no way we'd get a Wynn style casino. Where would people park? "It's inevitable that there will be a tax-free casino in Wayland," said Seccia. "The question is, do we want a ghost town (in Grand Rapids) with people traveling down there? Or do we want to keep the best city in Michigan running?" A ghost town? I'm sorry, but that's a bit over the top. I sometimes wonder if some of these people have ever been to a non-Vegas casino. The casinos in Michigan, Indiana and Minnesota (even the new ones) are very much like bowling alleys. Has anyone seen the warehouse that they plan to turn into the Wayland casino? It's a manufacturing plant where they used to make weed-whackers. They only plan to renovate, not build new, so it will still be a big warehouse. Most people will go once to check it out, and that's it. To me the idea of bringing a casino downtown is like a slap in the face. With all the great things that have been happening downtown, I don't understand why this is a front page issue. How is a casino going to bring people to GR? We already have them all over the state and the midwest. We should be focusing on an entreprenurial concept that would bring people to DT GR instead of another place. Something that would bring in people from out of state. A Cabella's may do that. An indoor water park may do that. A Dave & Busters may do that. A unique and vibrant downtown with a mass transit system woud probably do that. A Casino wont do that. I'd rather see the leaders focus on something other than a casino. I agree that something else would be better. A casino adds a bit of smarminess to an area, I am thinking particularly of Vegas. The problem that I have is that the areas directly around the casino might become slums from those who become/are gambling addicts, and all the other negative things that go along with gambling. There are quite a few people who would spend what little money they have to get rich quick rather than spending their money in a better way. A lot of people have worked very hard to bring about a better downtown, and I think a casino's negative impacts would negate their efforts. I really think Grand Rapids should not travel down the Casino path no matter how disparately it graves for economic growth. I would much rather see Grand Rapids pursue other options to stimulate its economy such as attracting retail downtown, bringing in high quality knowledge based jobs... anything. Granted I have not spent enough time in a city with a casino to see the effects. But the thoughts of bringing in a casino as a means of economic stimulus seems to me like a last ditch effort to save the HMS Titanic from slipping beneath the waves.